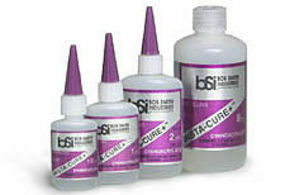 Shop online for over 300 in stock glues at discounts up to 70%. CA Super Glue is the most popular of the 10 in stock glues categories, then Plastic Cement, and Miscellaneous. Hobbylinc is ranked #1 out of 44 in stock glues manufacturers, followed by Testors, and Pacer Glues.